Michael is a licensed attorney in the state of Kansas and Missouri. He is a member of the American Bar Association, Kansas City Metropolitan Bar Association, Wyandotte County Bar Association, as well as the National Association of Consumer Advocates. 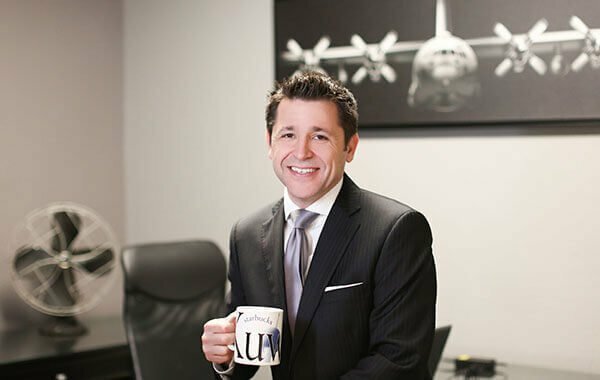 Since graduating law school, Michael has focused his practice exclusively on Consumer Law with a concentration on Fair Debt Collection Practices (FDCPA), Credit Reporting (FCRA) and Telephone Consumer Protection (TCPA). Michael regularly gives talks around the Kansas City area to community groups on the topics of Debt and Credit and blogs about FDCPA stories of interest providing short, good-to-know tips for those interested in keeping their finger on the pulse of consumer protection law. Michael Rapp graduated from UMKC School of Law, where he served as Research Administrator for Friedman on Leases and was awarded the Sanford B. Ladd Award for his exceptional achievement in Real Estate Law. Prior to attending law school, Michael served his country, was decorated, and honorably discharged from the United States Air Force.